If you get a refund back after filing your taxes, you might be wondering what the best way to utilize the money is. The amount that you get back determines how much you’ll be able to do. Here are some smart ways to spend your tax return. Always have an emergency fund to cover unexpected expenses or emergencies. Aim to have at least three month’s worth of expenses in a savings account. It’s ideal to have six month’s worth to really ensure that you have financial stability when tough times hit. Save money by paying off debt such as student loans, cars, or credit cards early. Credit cards tend to have very high interest rates which harder to pay them off due to incurring interest. Pay off some the balance on one or more credit cards. It is never too early to start saving for retirement. Contribute as much as you can, since the goal is to have enough in your savings to equal 80 percent of your current salary when you’re retired. Put the funds into an IRA to start accumulating funds. Making one extra mortgage payment per year can significantly decrease how much money you pay in interest on the loan. Call your mortgage company to check if you have a pre-payment penalty first. Every extra dollar you can put towards paying off your home gets you closer to full ownership and one less expense you need to pay every month. Build equity in your home by doing some improvements to increase its value. Do some of the work yourself to save money on costs and start working on the remodel you’ve been putting off. Start browsing your options online or head to your local hardware store and look at samples in person. Take your time and plan the remodel out so you don’t run out of funds halfway through the project. Purchase updated energy-star appliances to cut down on your utility bills. Simple updates such as changing the color of the paint, switching up the fixtures, and installing new faucets can drastically increase your home’s value. Some needs are immediate and should be taken care of as soon as possible. For example, do auto repairs or take it into a shop to do regular maintenance. Don’t ignore your needs completely when the money comes in. Spend money on improving your worth. Take classes at a community college or enroll in a trade program if you want to increase your skills and knowledge. Refinancing your home can drastically reduce your payment, especially if your current mortgage has a higher rate than what the current rates are. Many homeowners want to refinance but don’t because the costs of doing so can accumulate quickly. Now is a chance to use the money to your advantage to negotiate a lower rate and end up with a loan that has much more favorable terms. You’ll save even more if you’ve built equity in your home. Spend a little bit on something you’ve been wanting but don’t actually need. Get the new electronic, jewelry, furniture, clothes, or whatever else you want as long as the price is within reason in relation to how much money you got back. We all deserve to treat ourselves once in awhile. Be reasonable and don’t buy something too extravagant. Take advantage of the extra money while you have it. Some health procedures such as dentures, braces, or costly tests might have been on the backburner for awhile. Put some money aside if you anticipate specialist visits or multiple co-payments in the near future to make it easier to afford your medical expenses throughout the year. 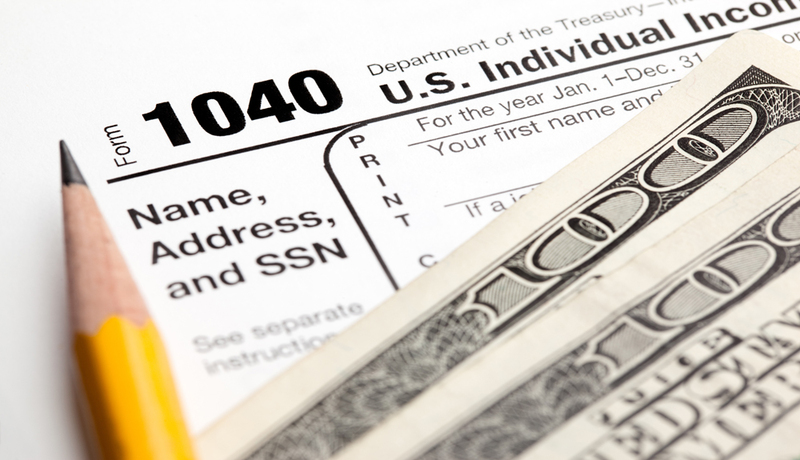 Take your time and carefully plan out how you want to spend your tax refund. Treat the money as if it is unexpected and you’ll find a way to utilize it for your circumstances.